Concert promotion blew up in the ‘70’s during the development and heyday of classic rock. Stadiums or festivals were where the gigs took place as music drove the culture and everybody wanted to participate. Thirty plus years later and along comes the internet. Suddenly everyone is no longer focused on the same thing and niche was king. Yet the major music labels continue to play the same old tune of trying to get acts TV exposure and on terrestrial radio with 22-minutes of commercials an hour, but the public is sick of being dictated to by music corporations purveying artists only in it for the buck and have tuned out. The end result? Is today’s modern concert business where the average person feels fleeced by excessive fees and high ticket prices and have decided to pass on most concerts. In fact, ‘twenty-ten’ might go down as the turning point year that devastated the concert business. Look at the signs from SoundScan. Arizona concert boycotts. Cancelled concerts by the Eagles, poor showing for John Mayer, Bon Jovi downsizes the number of cities, the death of Lilith Fair, winery offers for Court Yard Hounds, and the ever popular $10 concert cash coupons if you can drink a dozen 1-litre bottles of Diet Coke at $1.49. The list goes on. Disregarding the external conditions of the concert promotion sphere, is Harley-Davidson marketing. Their demographic ‘machine’ determined that ‘twenty-ten’ is the year to double down on seeking young motorcycle buyers and do so at…music concerts! Huh? It’s true. They launched their H-D Golden Horse Saloon at the Rockstar Mayhem Festival two weeks ago in San Bernardino, Ca., in an effort to market to young, edgy potential customers. The third concert of the tour was last week at the White River Amphitheater, in Auburn, Wa. 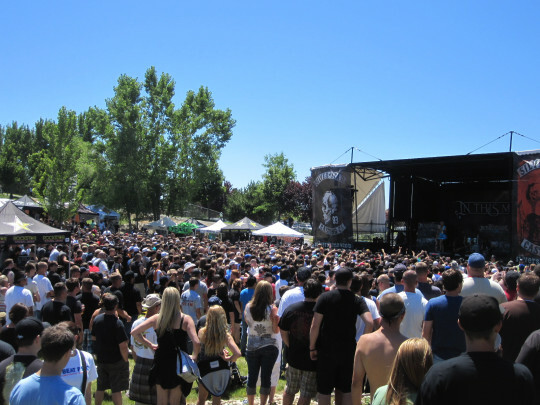 The festival includes Korn, Rob Zombie, Lamb of God, Five Finger Death Punch, Hatebreed and several other bands. 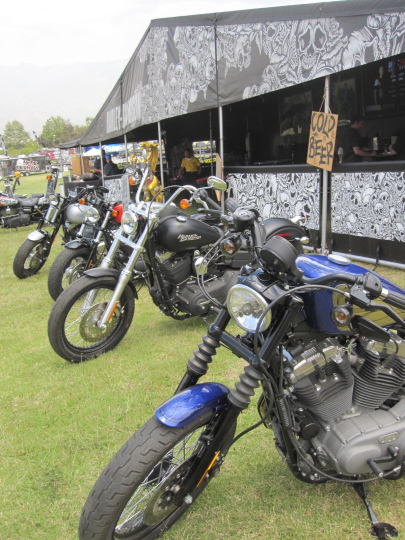 Last month H-D had a similar set-up at the Bonnaroo Music & Arts Festival in Manchester, TN. The goal of any Harley-Davidson special events marketing campaign is to generate awareness and increase sales among the target audience. It’s well known in music circles that the concert business is in the toilet. 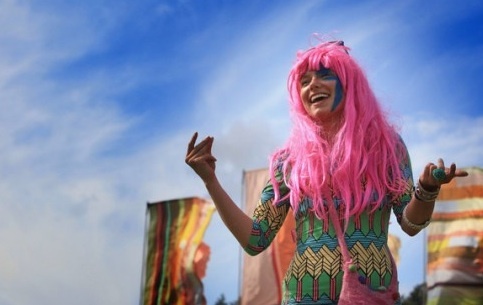 Sure you can talk about the economy, all the external business factors, but they’re secondary to the acts, the music. It’s doesn’t matter how great the venue is, certainly doesn’t matter how great the promoter is, it comes down to the quality of the act and whether they can draw a crowd. Given sky high concert prices and that we live in an on-demand world where you experience only that which you want means this demographic outreach/tactic is unlikely to pay motorcycle sales dividends for Harley. 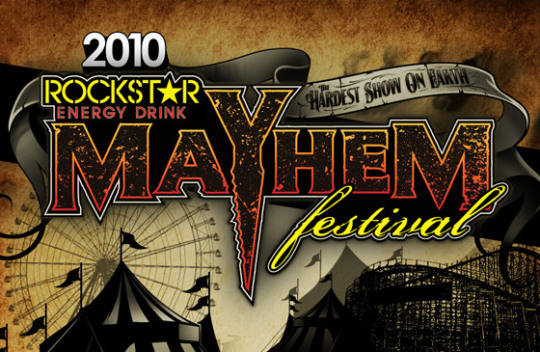 One notable item… Mayhem could arguably be the loudest festival on the planet giving the sparse crowds so much ‘metal’ that many will feel aurally violated after the gig. Photos courtesy of H-D, Mayhem Festival and Rob Zombie.